At the East Mebon there is a check post where you need to obtain clearnce. Turn right again at the road before the East Mebon; pass through the village of Phoum Pradak, where there is a junctions (if you continue straight, after about 5 minutes, you will reach Banteay Samre). At this point, you come to a fork; take the road on the left and follow it to Batneay Srei which you will reach shortly after crossing two rivers – on your left hand side. 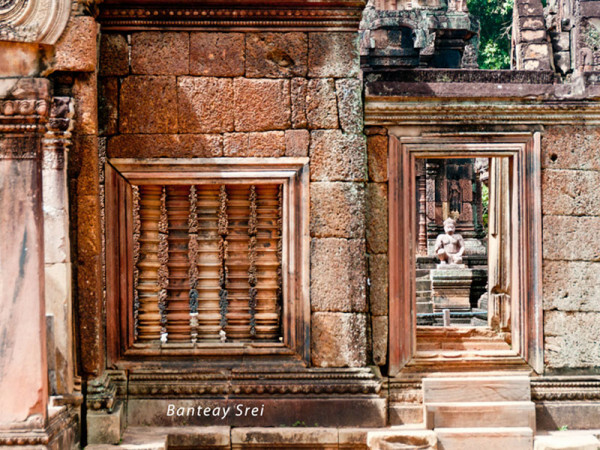 Banteay Srei is an exquisite miniature; a fairy palace in the heart of an immense and mysterious forest; the very thing that Grimm delighted to imagine, and that every child’s heart has yearned after, but which mature years has sadly proved too lovely to be true. And here it is, in the Cambodian forest at Banteay Srei, carved not out of the stuff that dreams are made of, but of solid sandstone. 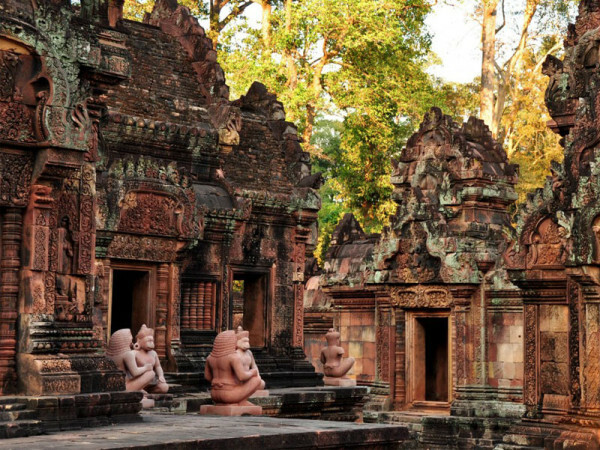 The enchanting temple of Banteay Srei is nearly everyone’s favorite site. The special charm of this temple lies in its remarkable state of preservation, small size and excellence of decoration. 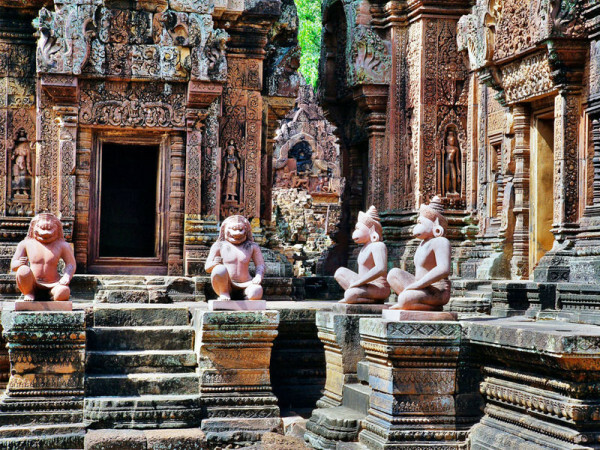 The unanimous opinion amongst French archaeologists who worked at Angkor is that Banteay Srei is a ‘precious gem’ and a ‘jewel in Khmer art’. 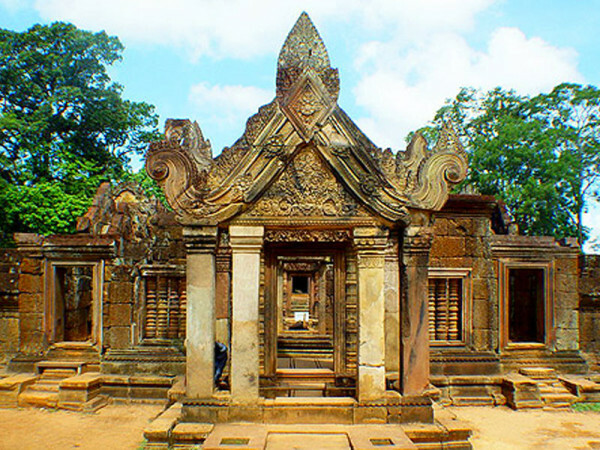 Banteay Srei, as it is known by locals, was originally called Isvarapura, according to inscriptions. 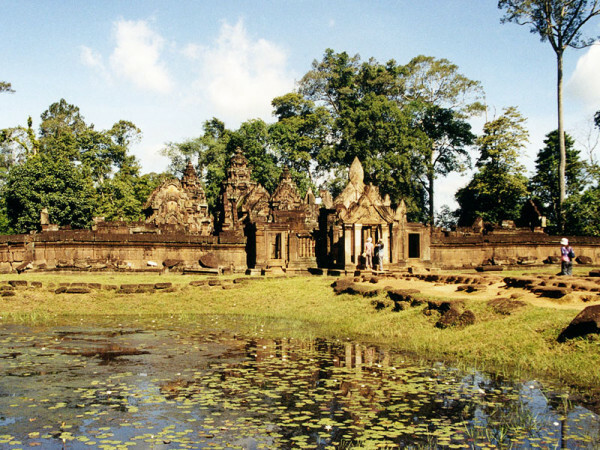 It was by a Brahmin of royal descent who was spiritual teacher to Jayavarman V. Some describe it a s being closer in architecture and decoration to Indian models than any other temple at Angkor. 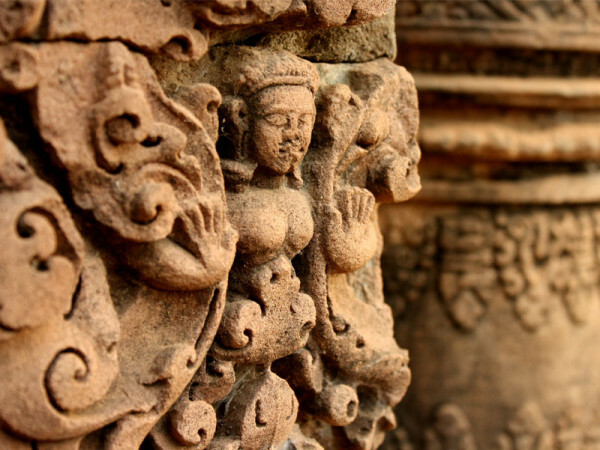 A special feature of the exquisite decoration was the use of a hard pink sandstone (quartz arenite) where enabled the ‘technique of sandalwood carving with even an Indian scent to it’.